You can't have a vibrant urban community without accommodating man's best friend. 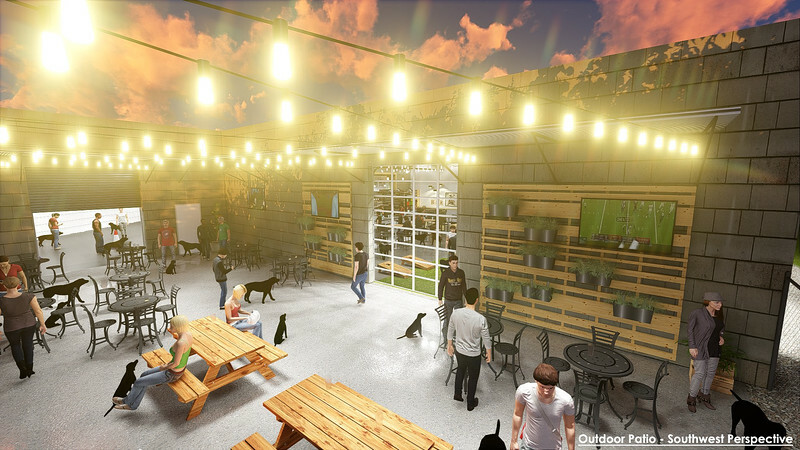 Once completed, these two proposed projects promise to bring a mix of boutique doggy daycare services, a dog park and local craft beer, wine and coffee under the same roof in Downtown Jacksonville. Here are the details. 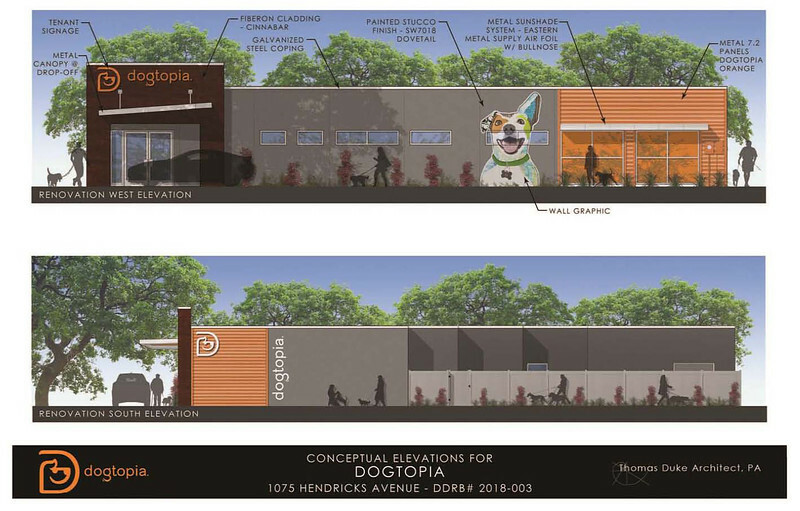 The first project proposed calls for the redevelopment of an existing one-story, 3,869 square foot building into a Dogtopia dog day care facility. Established in 2012, Dogtopia is a dog daycare, boarding and spa facility all rolled into one with more than 60 locations in North America. The Dogtopia project is located in the southernmost portion of the Southbank Downtown Overlay District at 1075 Hendricks Avenue. The project will include renovation and alterations of a building that has been vacant for more than a decade. The building interior will be renovated and occupied by a tenant, Dogtopia, a franchise dog daycare facility with locations throughout the United States and Canada. The hardscape / landscape / streetscape will be renovated by the property owner, Happy Family, LLC. The project includes significant improvements, both inside and outside the building. Tentative plans indicate construction on the project will begin in January 2018. It is also anticipated that construction will be complete by the end of March 2018. Designed by Thomas Duke, AIA, this Dogtopia franchise at 1075 Hendricks Avenue would be the second in the Jacksonville area. Jacksonville’s first Dogtopia is located near the Avenues Mall at 9365 Philips Highway. The second project involves the conversion of a 16,117 square foot former cabinet making factory into a boutique doggy daycare, indoor and outdoor dog park, local craft beer, wine and coffee bar. Located in Brooklyn at 580 College Street, Kanine Social would provide daycare services for a maximum of 30 dogs and is estimated to be a $1.57 million investment.